The Centre on Philanthropy — whose mission is to support and advocate for an effective and sustainable third sector — hosted their 8th annual Member Appreciation Reception on Thursday, June 25th. Non-profits, corporate, individual members and supporters were invited to recognise their many valuable contributions and support. The event began with informal networking, speeches and an awards ceremony where non-profit Decade of Partnership members were recognised and presented with certificates. The Foundation Circle Award was also presented to the most significant donors that supported The Centre on Philanthropy through grants, sponsorships, membership fees and in-kind gifts over the last fiscal year. This year’s recipients are Bermuda International Long Term Insurers and Reinsurers [BILTIR], The Bank of Bermuda Foundation, KPMG, Renaissance Re and XL Catlin. 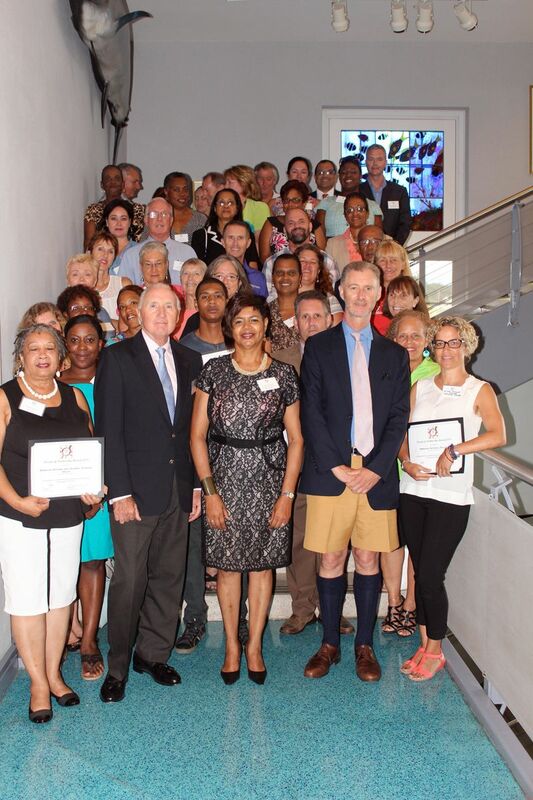 Certificates were presented by The Governor, Mr. George Fergusson and Mr. Graham Pewter, Vice Chairman of The Centre on Philanthropy. The Decade of Partnership Award is presented to the non-profits that have been consistent members with The Centre on Philanthropy for the past ten years. Elaine Butterfield, Executive Director said, “Our non-profit partners are the warriors in the community, providing critical programmes and services. This event is to recognize them, their partnership and vital contribution that they make to our community”.